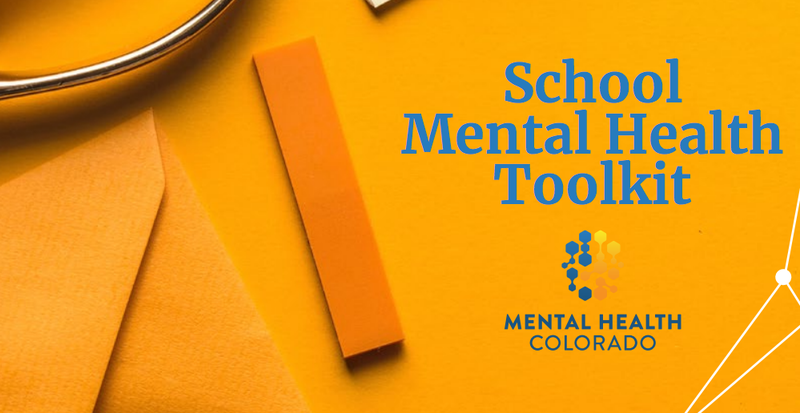 The School Mental Health Toolkit is a blueprint for school mental health services and will guide community members, schools, local leaders, and districts through 10 best practices, including strategies for implementing, funding, and sustaining mental health services in schools. The toolkit will help you make the case for schools to implement practices such as screenings, suicide prevention, and wellness plans. Studies show children are more likely to seek help if support is available at school—where they spend the bulk of their waking hours. If you aren’t sure where to begin improving mental health services at your school, start with this toolkit. Mental Health Colorado is the state’s leading advocate for the prevention, diagnosis, and treatment of mental health and substance use disorders. We are a nonprofit, nonpartisan organization and an affiliate of Mental Health America.